Okay, let’s all admit it. 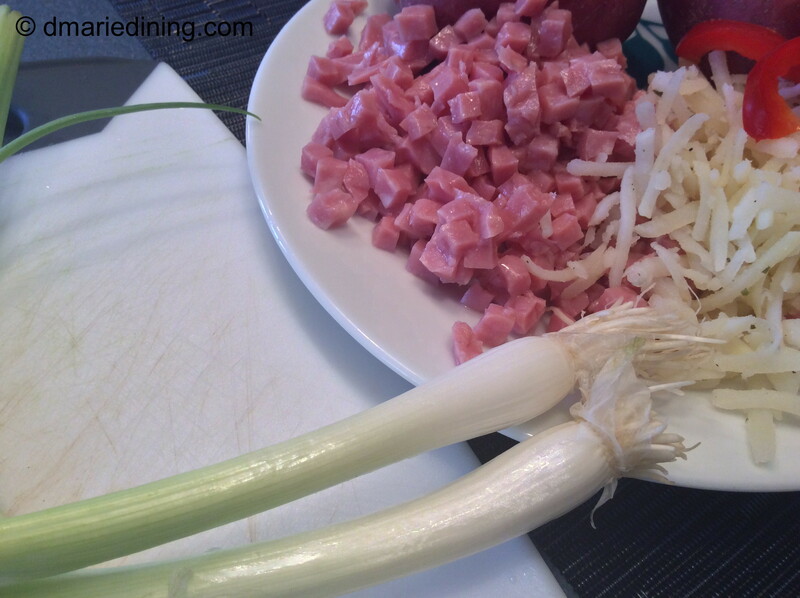 Brussel sprouts can be a little stinky when you cook them. 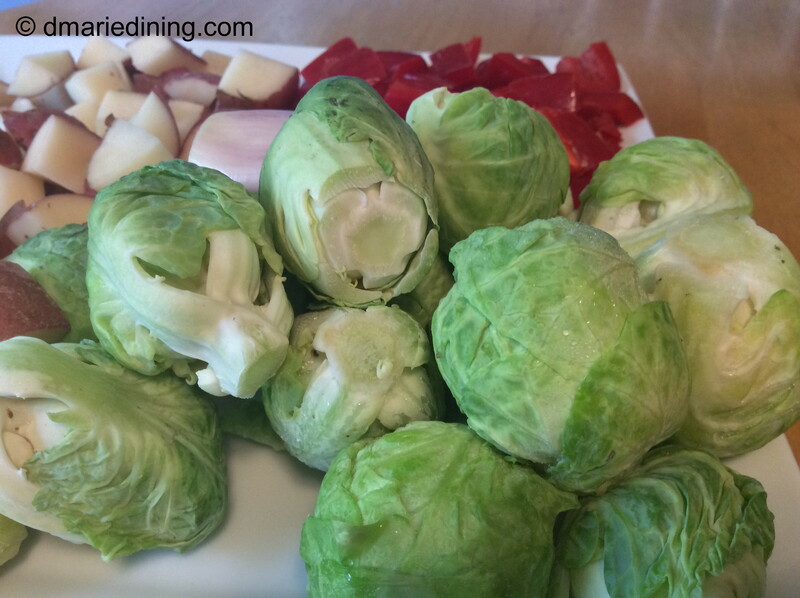 Not everyone can enjoy the strong taste of brussel sprouts but if you are adventurous I say give it a try. Brussel sprouts have great qualities one of which is they are healthy. Brussel sprouts are packed with vitamins C and K. While reading up on the benefits of eating brussel sprouts I found out that they help support the body’s detox system, our antioxidant system and our inflammatory/ anti-inflammatory system. Not many veggies are able to bring such benefits all at once. 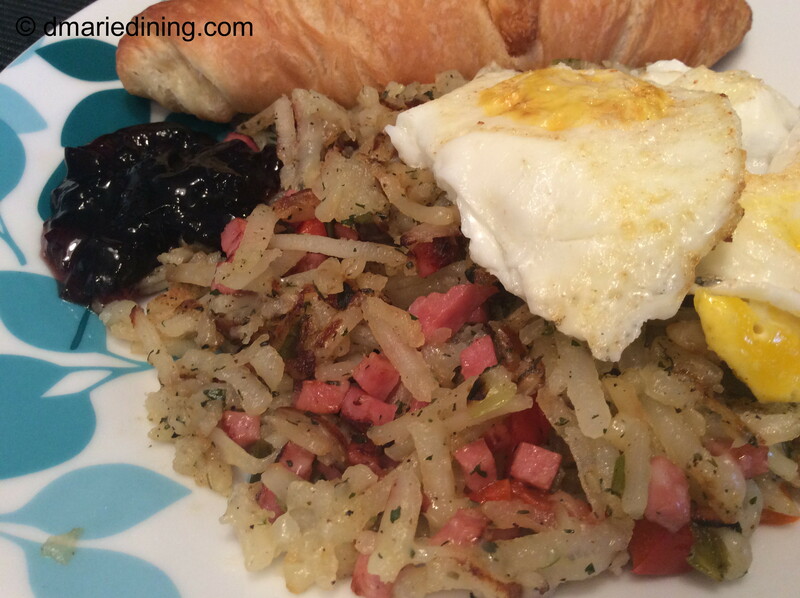 I came up with my brussel sprout hash recipe the same way I come up with quite a few of my creations. I needed to do something with the fresh brussel sprouts I threw into my shopping cart earlier in the week hoping I would be inspired by their presence in my frig. This time I actually was inspired by the brussel sprouts. I couldn’t bear to just boil them or simply roast them. 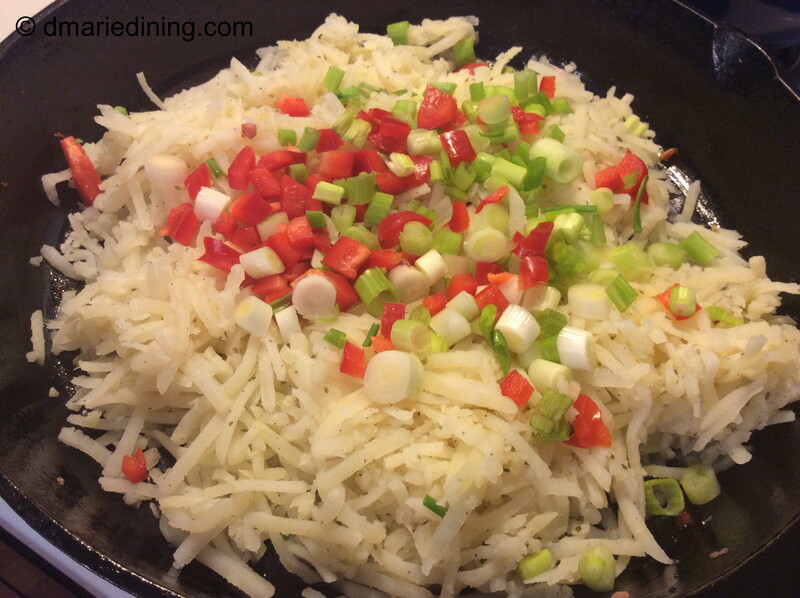 But, I did want to bake them along with onions, peppers and potatoes and turn them into a hash. 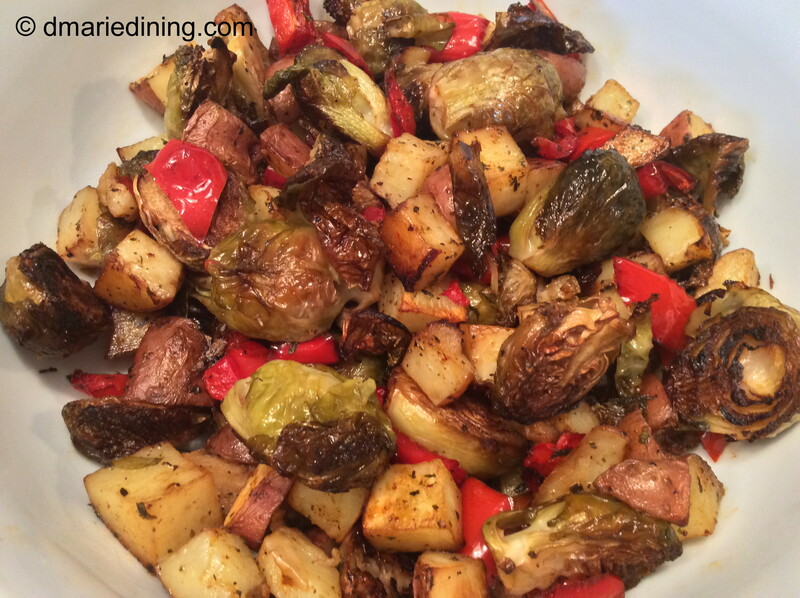 This recipe was created with just me in mind because neither my hubby nor my youngest son likes brussel sprouts. Me? I love them. I just don’t prepare them often because like I said in the beginning they can be a little stinky. 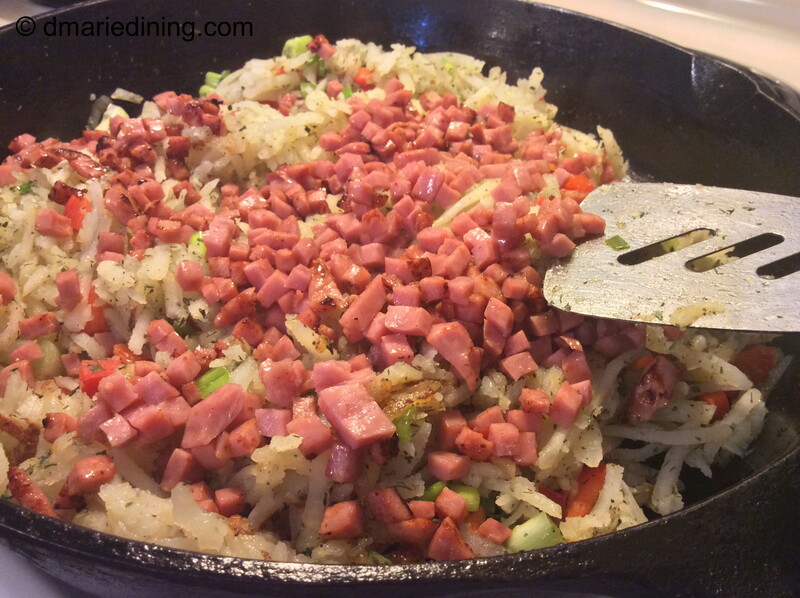 On the day I made the brussel sprout hash my hubby came home and asked if I smelled something funny in the house. It wasn’t a strong smell but he could smell something different in the air. Of course I couldn’t say no and had to admit I had cooked brussel sprouts. After wrinkling up his nose he pulled out the the air freshener and sprayed the whole house. Totally unnecessary but what can I say. Brussel sprouts have their own unique aroma but they sure do taste good. 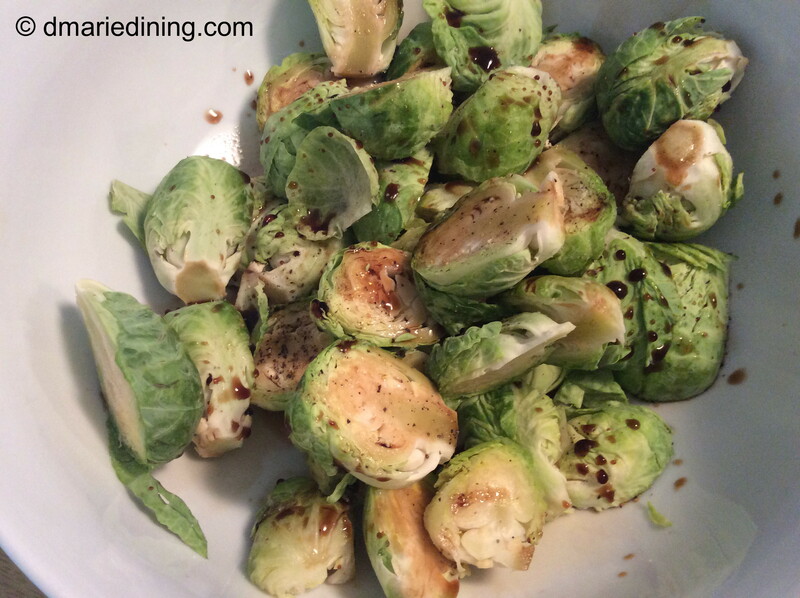 In a large bowl toss brussel sprouts and balsamic vinegar. Coat a rimmed baking sheet with 1 tbsp olive oil. 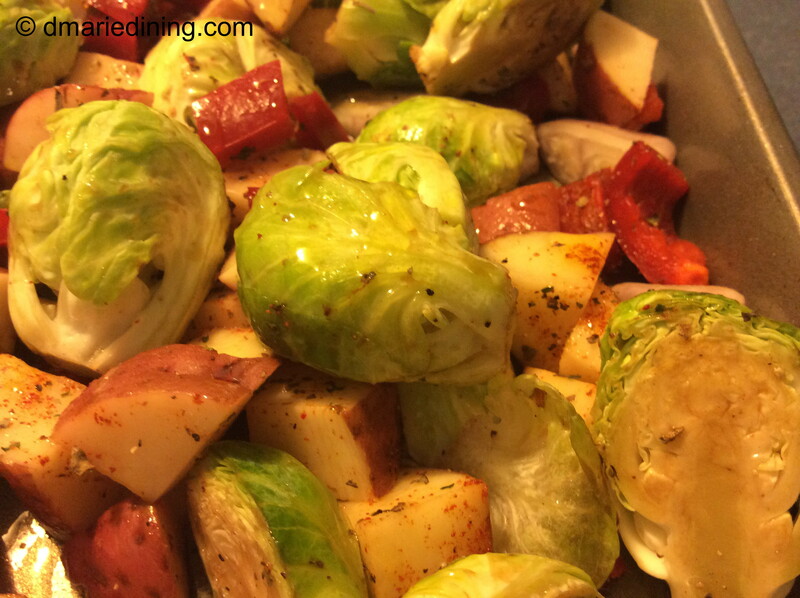 Add brussel sprouts, potatoes, peppers and shallots to baking sheet. 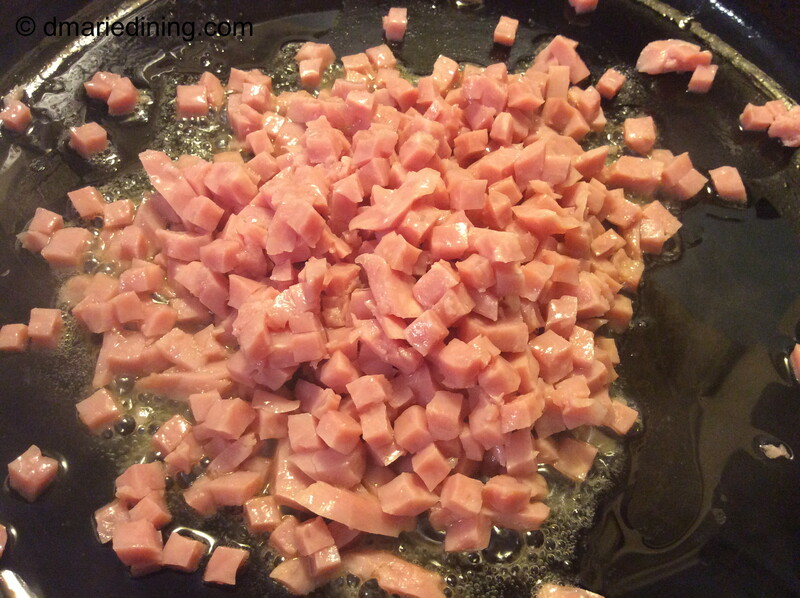 Sprinkle with seasonings and toss. Pour remaining olive oil over veggies. Bake approximately 1 hour until veggies are soft and golden.